In case of injuries to the wrist joint, promoting the healing process with a wrist support may be sensible. The Manu Sensa lets you move confidently and securely under strain without restrictions. It gently promotes the healing process and helps reduce pain. The wrist support is anatomically contoured. 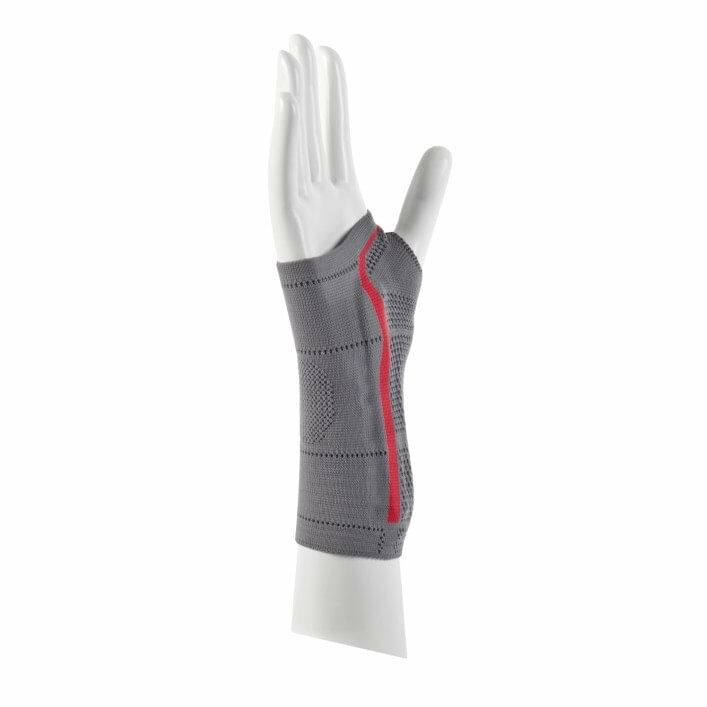 An integrated plastic splint can be individually fitted and limits the range of motion in the wrist joint. The interior thumb seam is elastic. The increased flexibility this provides helps prevent skin irritation. 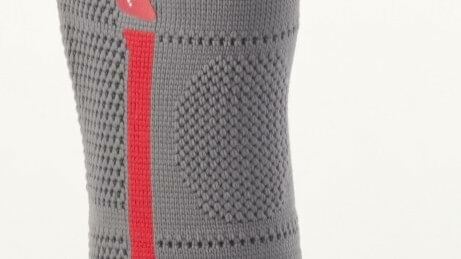 Comfortable strain relief for the knuckles is ensured by the open-mesh area. The plastic splint runs along the inside of the hand and can be individually adapted to the wearer by the orthopaedic technician. Thanks to the special knitting method, it adapts to the shape of the individual hand. 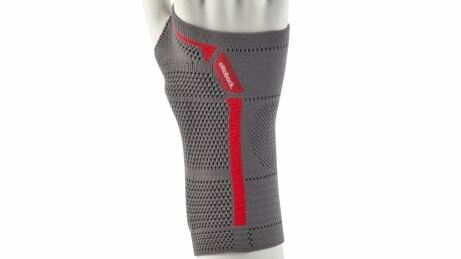 The Manu Sensa ensures comfortable and constant compression, which is strongest in the area of the wrist joint. At the same time it stabilises the wrist joint and limits its motion. This helps alleviate pain. The cuff material is elastic in order to avoid constriction. 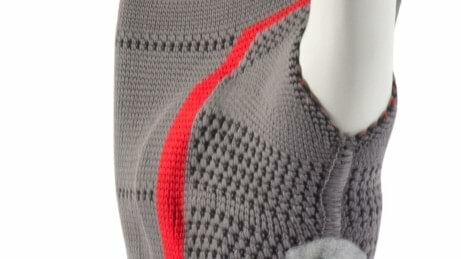 This is also why the thumb seam is elastic and on the interior. Strain on the knuckles is relieved by the open-mesh area. 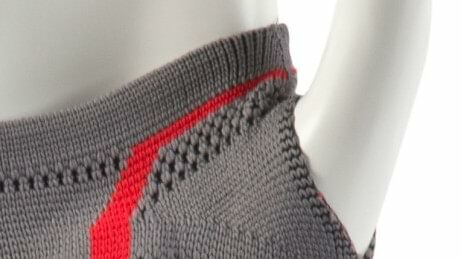 The special 3D flat-knitted fabric moulds to the natural body contours and also creates specific compression zones. This provides targeted support for affected areas. Thanks to Skinguard Technology, the Manu Sensa is extremely skin-friendly. Antibacterial fibres integrated into the knitted fabric effectively reduce the growth of bacteria to inhibit odour formation.